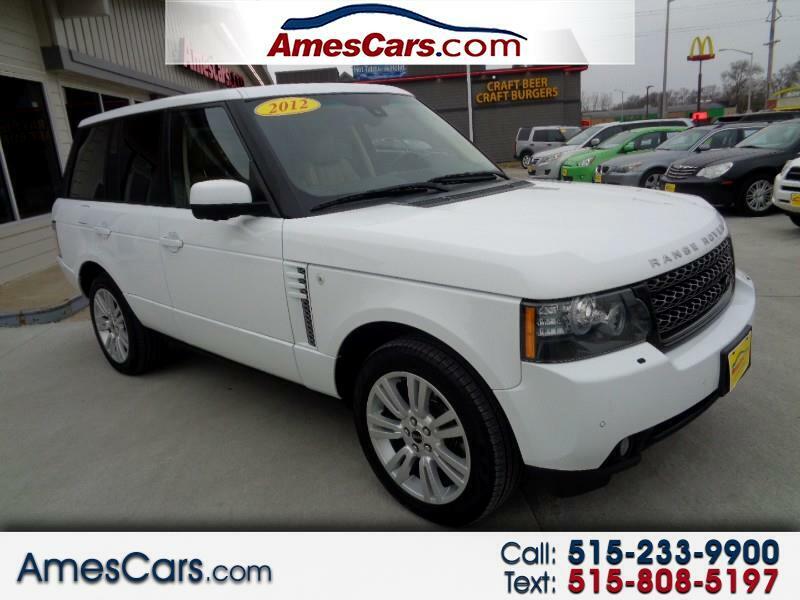 ****NEW ARRIVAL*** 2012 RANGE ROVER HSE LUXURY, 5.0 8 CYL, ALL WHEEL DRIVE, AUTOMATIC TRANSMISSION, ALLOY WHEELS, NEWER TIRES, RUNS AND DRIVES GREAT, DUAL POWER SEATS, DUAL CLIMATE CONTROL, HEATED AND COOLED FRONT SEATS, HEATED REAR SEATS, LEATHER INTERIOR, STEWING WHEEL CONTROLS, HEATED STEERING WHEEL, TELESCOPING STEERING WHEEL, NAVIGATION, BLUETOOTH AND MUCH MORE!!!! PLEASE CALL FOR MORE INFO OR TO SCHEDULE A TEST DRIVE TODAY!! !